Be it bookshelves or serveware in kitchen, beds, sofas, futons, dining tables, chairs, wall art and home decor, TV cabinets, Laptop shelves, home furniture is what makes your home more home like. A single decorative lamp has the power to change the ambience of your living room; keeping that in mind one should choose very wisely. But even the tiniest of these trinkets can be really costly more often than not. Do not worry any longer, HappySale has the best offers on home furniture and decor across brands like FabFurnish, Pepperfry, Fabindia, Evok, Shopclues, Snapdeal, eBay, Naaptol and more. These offers are valid on bean bags, dinner table sets, kitchen essentials, faucets, racks, shower panels, dining tables, wall clocks, dressing tables. You can avail cutlery and wooden serving utensils, condiment sets, gravy boats, pitchers, platters, bowls and more at best prices using HappySale promo codes and coupons. You can choose from a wide range of designs, materials used and final finishing. 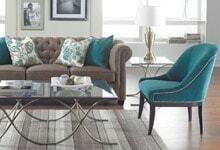 Verified on 22/4/2019 .. Shop at Hometown online portal and get upto 60% OFF on wide range of living room furniture collection like chairs, tables, storage etc. Offer valid on landing page products only. No special code is required to get this discount. Buy now. Hometown is offering upto 58% OFF on tables without using any promo code. Shop here for study and office tables and get discounts on your online orders. Choose from latest collection available. Click here to shop now. Verified on 22/4/2019 .. Transform empty wall to a stunning one with Voxpop wall arts. Shop here for wall arts at a less price of Rs 4999. No coupon code is required to get this deal. Buy now!! Verified on 22/4/2019 .. Get upto 50% off on home accessories. No coupon code is required to avail this offer. Limited period offer. Order today. Verified on 22/4/2019 .. Get hardware and electreical products at PepperFry starting at Rs 129 only. Get amazing deals on light bulbs, kitchen essentials, taps & fauscets, basins, towel racks, shower panels, room heaters, power storage, etc. No coupon required to avail these products. Evok Offers, Upto 50% Off + Extra 20% Off on select Furniture, you can choose the best furniture for Living Room, Dining Room, Bed Room, Study Room, Kids Room and more. Hurry up, Offer Valid for a limited period. Do you love to decorate your home in a way that it looks classy and well arranged? If yes, then selecting your furniture’s is something that you need to do well. And the best part is, today for this you don’t really have to visit a store and hop from one shop to the other comparing price rates, deciding which the best buy is. You can simply log in online and browse through HappySale which is one of the best online platforms for discounts and promo codes. Here you get to select from the very best of the home furniture offers that are available online for you! Usually the notion is the lavish and high-end a certain piece of home furniture is, the costly its price happens to be! Though it’s not far from the truth, but with the help of the attractive home furniture offer codes that are available online, you can make the most of the side tables, dinner table and chair set, sofa and other furniture and spend a reasonable amount for it. There are also some of the best high-end and aesthetic bathroom accessories like cupboard and faucets that you can select and pay considerably less online as compared to the shops. When you browse and book your deals online you can get to make the most of the attractive home furniture offers that have been lined up for you. You get select from the best of the promotional discounts, end of season sales, site wide offers as well as cashback deals. Sometimes, there are great offers on your first transactions as well. From book shelves to dressing tables, beds to diwans there are some of the best deals today that has been lined up for every online customer online, that is simple to browse and easy to activate as well. Furthermore, if you want to make the most of the home furniture offers of the day its best to keep browsing HappySale and select the best offers and deals! That aside, here you get to select from the reputed brands like Naaptol, Snapdeal, Amazon, eBay, Fabindia, Shopclies, Evok, Pepperfry, Fabfurnish and many more. So go ahead, browse and read the deal descriptions to know more on the offers and activate the ones that best cater to your budget and preference.